I love crossovers. Love them to death. 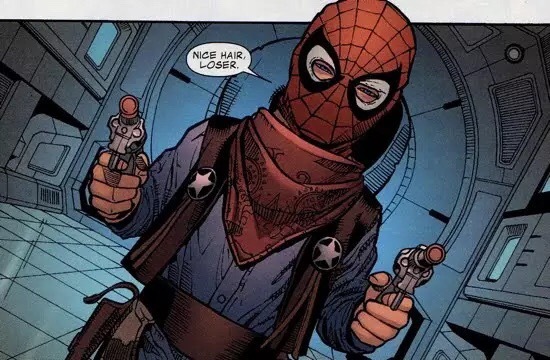 Comic book crossovers are a perverse thrill to me. Sure, they can be overwritten, predictable, and painful. Sure, they can chase the most hard-core of comic book fan away from the nine-panel grid forever (Hi, Glenn!). And sure, in the end, they can be all marketing and no substance. Fear Itself provided one of the strangest moments that I can recall. To get Odin to help create weapons to save mankind, Tony Stark has to offer…his sobriety. Yep, Tony gets drunk with dwarves. and saves the day. Name a story co-authored by legendary comic writers Alan Moore and Warren Ellis. Did you guess the mid-90’s crossover Fire From Heaven? Congratulations! (Admit it, you forgot about it.) The story led to one of Warren’s first breakout series, Stormwatch, which later became The Authority. I love month-long epic crossovers. I read all 100+ issues of Fear Itself. And every issue of Civil War. And Secret Invasion. And Age of Ultron. And Avengers vs. X-Men. And everything else you can consider. So by that logic, I should love Secret Wars. I also love Jonathan Hickman’s work. I’ve been a fan of his since his first Image Series, The Nightly News. Over on the GAR! Podcast, I put his Death of Johnny Storm story in my five favorite FF stories (before I realized I forgot FF 200, which is actually my favorite). I thought most of his Avengers and New Avengers work was strong, even if it was a little obtuse at times. The Infinity crossover was stellar, with a fantastic Thor moment serving as the turning point in the story. When it was announced that Hickman was cueing up Secret Wars as the end story for his Avengers run, I was thrilled. Jonathan Hickman. Big crossover, with lots of alternate Marvel realities. The end of the Ultimate universe and the promise of Miles Morales joining the mainstream Marvel U. The notion of an All-New! All-Different! (But Not A Reboot Like Those Other Guys!) universe sounded like fun. I was in. 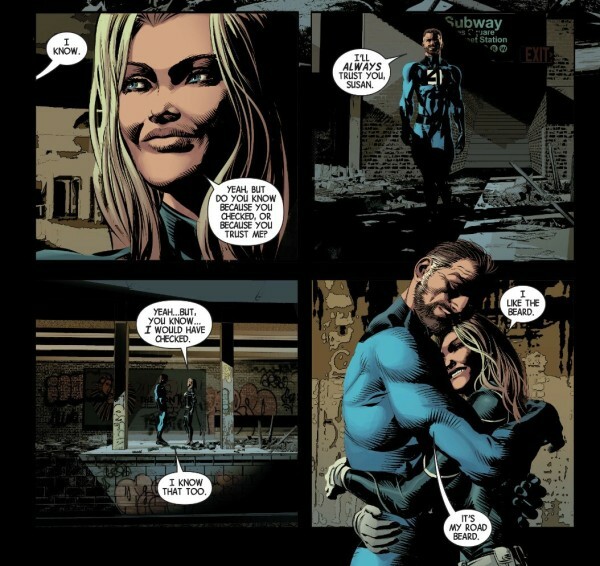 Blame the penultimate story in Hickman’s Avengers run, Time Runs Out. A crossover all on its own (ten issues of Avengers and eleven issues of New Avengers), the story starts with a promising notion- eight months into the future, everything Avengers-related is falling apart. 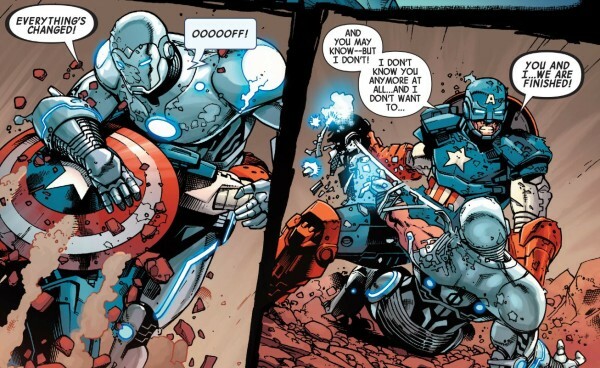 Captain America and Iron Man are mad at each other. The Avengers are strewn across the universe. The old New Mutants guy, Sunspot, buys A.I.M. (!) Steve is old. Tony is damaged from another crossover (and drinking again in his own book). Thor’s lost his hammer and is no longer worthy of it. Just at the wrong moment, everything is falling apart. Anyone got the extra-strength Geritol? Usually, this is the moment in comics when the good guys dig down and rally together to save the day. But not this time. 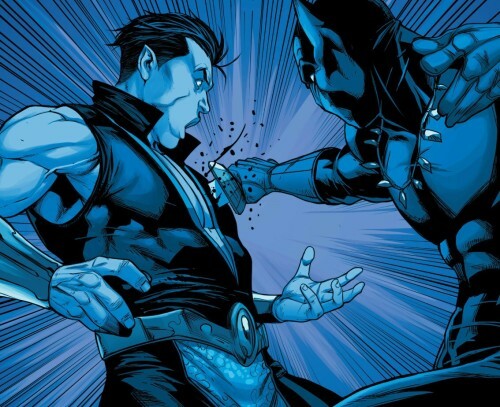 Black Panther and Namor are in a blood war, their respective nations in a heated conflict that won’t end. Instead of one party taking the high road, the two act like villains, and Black Panther tries to kill Namor and abandon his body in another universe. If you’re saying, “Hey, that’s not the Black Panther I know!”, well…you’re right. It isn’t. There’s no heroism in T’Challa’s act. And it doesn’t get better. That stain is never coming out. Blood and leather don’t mix. Namor, in response, decides to pal around in that other universe (the Ultimate universe, BTW!) with Thanos and Evil Reed Richards. Granted, Namor can walk the line between good and evil. But this isn’t straddling the fence. By joining Thanos’s Cabal, he thinks he can help stop the impending death of the Marvel Multiverse by joining up with a guy who’s in love with Death. And it never gets better. Sue Richards tricks everyone into thinking she’s mad at Reed Richards- and everyone FALLS FOR IT. Really. Seriously, I’m supposed to believe Sue’s going to turn on Reed? Really? Not that it helps. At the end of the story, we realize that the heroes have failed. A weird plan by the Beyonders to destroy everything succeeds. Every alternate world save for two- our Marvel U (or Earth-616) and the Ultimate Universe are headed for collision. WE. ARE. NEVER-EVER-EVER. GETTING. BACK. TOGETHER. 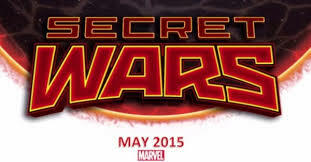 We’ve also been given a Secret Wars #0 comic (yes, zero, because that’s what they do on Free Comic Book Day. For the first issue, you’ve got to pony up). That issue recaps everything with unreliable narrator Val Richards, the incredibly smart daughter of Reed and Sue who’s still only three years old (hey, it’s the FF, it makes sense). The Freedom Foundation (all the kids who hang out with the Fantastic Four) help to build a ship to save the smartest people they can, all while trying to ignore the fact that One Direction probably won’t be invited to play on Nerd Island. It’s okay for what it is. And that leaves us at the precipise of Secret Wars. As I type this, USA Today is running a story spoiling the first two issues (Marvel vs. Ultimate! Gravestones! Battleworld! Weirdworld!). And I’m left without a creative outlet to talk about this. My podcast buddy, Glenn, has decided that while he still will write about comics on certain occasions, he’s not enjoying talking about them on the GAR! podcast. He feels that Marvel and DC aren’t making comics for him anymore. And honestly, he might be right. I’m kind of hoping he never reads those Time Runs Out stories, because those stories are almost anti-Avengers stories. At a time when the box office version of the team rules Hollywood, Marvel editorial has decided to give us a comics team that couldn’t get along, couldn’t solve problems, and couldn’t get out of each other’s way. They bickered, they fought, they tried to kill each other, and this time, it wasn’t because they were alternate versions or brainwashed or written by Rob Liefeld. This time around, the Avengers didn’t act like Avengers because it’s May and we needed a big comics event, and this was the most expedient way to get there. And that doesn’t sit well with me. Yet, I want to enjoy the event. I’m hoping that Hickman et al will find a way to tell a good tale, one that restores my faith and makes me fall in love with Marvel comics all over again, as has been done before. So this time, I’m going to dust off this old website (AdventuresOfRay.com), read EVERY book that Marvel puts out related to Secret Wars over the next few months, and write a blog post about it the following Monday (ergo the name, Monday Morning Secret Wars). No Glenn, unless he comes back to comics. Just you and me, folks. Join me, won’t you?